For the last several traditional high volume drinking days, this blog has featured reports of DUI “checkpoints.” This St. Patrick’s Day weekend is no different. Recently someone asked me why we do this. I think it was a fair question. So, unfairly I answered that person’s question with my own question which is “When you see a police officer who set up a speed trap, have you ever flicked on and off your lights to warn other drivers?” This person said they had and do. I asked, “Why? Why did you do that?” The answer was more or less that in her view that speed traps weren’t about safety but rather generating revenue for the state or the municipality. They said that the real harm is in the act of driving excessively and unsafely putting the driver or others in danger, not some arbitrary speed limit. I replied that is exactly why I publish DUI roadblocks (they’re not checkpoints, they are roadblocks). I want to promote general safety on our roads by trying to deter DUI driving by making folks aware of where and when these things are (just like when she flashed her headlights) and get rid of the real reason behind it that is not for the general safety (revenue generation). If you are one of the many people who plan on celebrating St. Patrick’s Day festivities in Pennsylvania, please do so responsibly. It is not against the law to drink and drive. It is against the law to be truly over the limit by a valid measurement and/or being substantially impaired to a degree that renders you incapable of safe driving as measured by the essential acts of driving due to ethanol drinking watch out for the DUI checkpoint banshees! 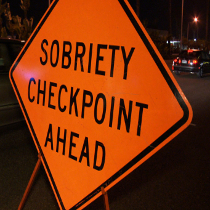 As they do every holiday weekend, Pennsylvania police will be setting up special DUI checkpoints all over the state. They are looking to make arrests and in the process will end up arresting many innocent people or people they cannot prove guilty in the process. As always please check our Pennsylvania DUI Checkpoint Page for the latest updates and feel free to share checkpoint locations in the comments below. If you are pulled over for a DUI please make sure to read: Our Guide on how to save yourself from a false DUI arrest. Remember, you can call 1-866-MCSHANE 24/7 for legal advice.